THE GIVEAWAY IS OVER! Winners will be announced later today. This giveaway is a part of the Follow Love Blog-hop. The giveaway runs from February 8th to February 13th. The winners will be announced on Valentines Day. Mandatory: To enter leave a comment to THIS POST with a way to contact you . If you decide to make use of the extra entries, please tell me which one, and which name! My name is Bonita Torres, and eight months ago I was an unemployed college graduate without a plan. Now I’m an investigator with the Private Unaffiliated Paranormal Investigations team of New York. Pretty awesome, right? The Cosa Nostradamus, the magical community, isn’t quick to give up its secrets, though. Not even to fellow members. Not even when it’s in their best interests. So we’ve been busting our tails, perfecting our forensic skills, working to gain acceptance. The team’s tight… but we have our quirks, too. And our Big Dog, Benjamin Venec…well, he’s a special case, all right. Wow! Great giveaway! I have heard great things about this book! I am a new follower 🙂 Happy to be here! I see you are just starting out with your blog so allow me to wish you all the best and I hope you garner many Followers from this giveaway. I ahve joined via GFC. Not familiar with this book. It looks good though so please enter me. this blog hop made me discover new blogs! So nice! Added you as a friend on goodreads. 1flatlakegirl@gmail.com Anna I am a new follower on gfc as anna violette donald….thanks for the giveaway! I would love to read this book, it sounds really good. cool give away ive never read this author be cool to have a chance to read her ty for the chance! Great giveaway. GFC follower and Goodreads friend too. +1 I follow via GFC. Feel free to stop by my giveaway if you haven’t already. +1 I follow on GFC. I want to read this book . thanks for the giveaways ! New follower on GFC and GR. Happy hopping and looking forward to your posts. +1 I’m a follower on GFC. I would love to read Pack of Lies 🙂 *Thanks* for the giveaway! Thanks for the great giveaway. That book looks great. I’d love to read it. Great giveaway 😀 I’m a new follower! This one is on my wl! Love LAG!! Great giveaway thank you so much book sounds so good! Hello, I am following you on GFC as Glenda Cates and I would have on Good Reads as well but it was done. I would like to have you as a friend on it though and I am Glenda Cates. MommiesPointofReview@gmail.com and Thanks for the Hop and I enjoyed your Blog and I look forward to coming back. Thanks for the chance at this great giveaway. Thanks for the international giveaway. I would love to be entered! I follow gfc. Please enter me – I am a GFC follower and also sent a friend request on Goodreads. Sounds good. Thanks for the chance! Hello, I’d like to be entered into the giveaway please! Thanks! I follow you via GFC as xlacrimax. I added you as a friend on goodreads. My name there is also xlacrimax. GFC follower here. Thanks for this! Thank you for the giveaway, sounds like a great book. Thanks so much for the giveaway! I follow you via Google Friend Connect and I friend you on Goodreads. 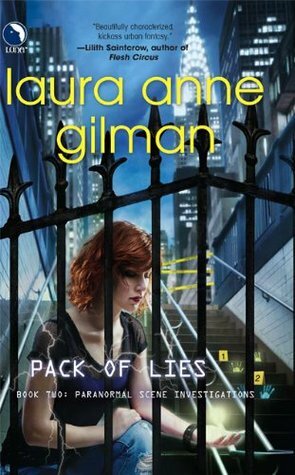 I have never heard of LAura Anne Gilman before, so I would love to dscover her writing since yoiu say she’s great. Please enter me in the giveaway. Thanks for making it international!! Good buzz on this book! I follow in GFC, too! Awesome giveaway. I’ve had this series on my wishlist for a while.